Lottoland has added a fascinating new addition to its line-up of lotteries: the world’s first Bitcoin lottery. 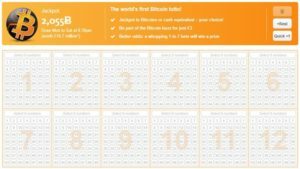 Bitcoin Lotto is based on a basic 6/49 draw, familiar to anyone who has played the UK’s National Lottery (or one of the many others out there). 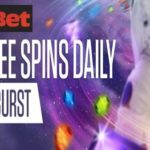 Bitcoin Lotto is based around the results from Bonolotto, the well-known Spanish lottery, and rewards any player able to match the full six numbers with a 1K BTC jackpot. If more than one person manages to get six numbers in a row, each winner’s split will be dependent on the number of people scooping the official Bonolotto jackpot. After the Bitcoin Lotto draws, Lottoland assess the 1K BTC jackpot’s present value according to the Coinbase charts. When the winner claims their Bitcoin prize, the Coinbase value will be converted back into BTC. This ensures the amount winners receive stays true to the value of their win. Prizes may end up growing more and more valuable as Bitcoin’s worth improves, offering incentive to players to keep taking part week after week. 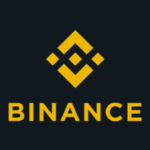 Bitcoin Lotto winners will be given the option to receive their winnings in cash equivalent to their BTC prize, which you can then invest back into cryptocurrencies if you so choose. 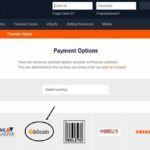 Bitcoin Lotto is exclusive to Lottoland, and is easy to play for even the biggest lotto novice. All you need to do is select six numbers (or let the QuickPick system do it for you) and process your ticket. The Bitcoin Lotto is 10 times more likely to scoop a win for you than the ever-popular Euromillions lottery, with a one-in-seven opportunity of getting a prize. Lottoland has lotteries from all over the world, from the United States to Poland, from Australia to Ireland. Even America’s massive, life-changing MegaMillions and PowerBall lottery draws are available for you to take part in, and millions of pounds in prizes are available in total. 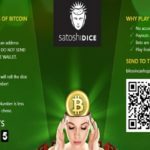 Bitcoin Lotto is an ideal chance for everyone to get involved with the ongoing rise of Bitcoin, whether you’ve never actually tried a cryptocurrency before or want to win more BTC to fund your fun at online casinos.